Dr. Danny Todtfeld - Assistant Principal - Dr. Todtfeld served as an elementary instructional coach in the Excelsior Springs School District last year. 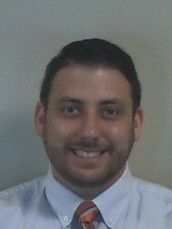 He received his doctoral degree in education leadership from William Woods University. 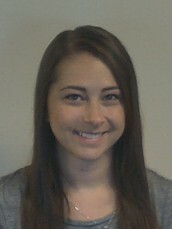 Ms. Victoria Wood - Third Grade Teacher - Ms. Wood graduated from University of Missouri-Columbia. 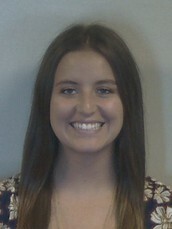 She completed a year long internship teaching students at Alpha Hart Lewis Elementary School in Columbia, Missouri. Ms. Abby Turnbull - Fourth Grade Teacher - Ms. Turnbull recently finished her Master's Degree at the University of Missouri-Columbia. Last year Ms. Turnbull taught fourth grade at Russell Boulevard Elementary School in Columbia, Missouri. Mrs. Teresa Dwyer - Fourth Grade Teacher - Mrs. Dwyer is a familiar face at English Landing and served in a long term substitute position in third grade last year. She has eight years teaching experience in the Independence School District and the KCMO School District. Mr. Cody Sanders - Fifth Grade Teacher - Mr. Sanders is a recent graduate from the University of Missouri-Columbia. 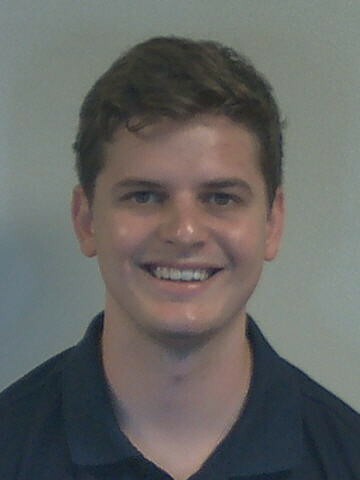 He completed a yearlong internship teaching fifth grade students at Paxton Keeley Elementary School in Columbia, Missouri. 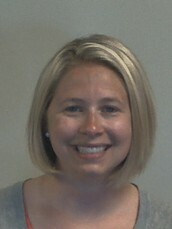 Mrs. Debbie Landis - School Social Worker - Mrs. Landis has a Master's Degree in Social Work from the University of Kansas. 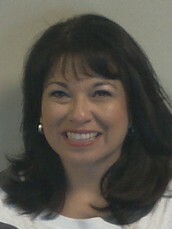 She has twenty three years of experience working with children and families in school and community settings. For the past seven years she was a Family Service Coordinator in Kansas. On Monday, August 21, 2017, we will be serving just two school lunch options as our "hot" meal to help us finish lunches in all grade levels prior to the Solar Eclipse viewing experience. On Monday, August 21, our area will have the once-in-a-lifetime opportunity to view a total solar eclipse. English Landing students and staff will participate in watching the solar eclipse and I want to make sure you know our plans for this day. How are you preparing to keep my child safe during this event? The Park Hill School District purchased enough glasses so that every student and staff member will be able to watch the eclipse. Please do not send any additional solar eclipse glasses to school with your child as our students and staff will all be wearing the same PHSD purchased glasses. According to the Stanford Solar Center, “You can safely observe a TOTALLY eclipsed Sun with the naked eye.” The ISO glasses we have block out all light, and with the sun completely covered by the moon, students would be in complete darkness. English Landing students will remove or lift up glasses when instructed to do so by Dr. Roe, view the total solar eclipse, and then be instructed to wear the glasses again as the moon continues its revolution and the sun becomes visible again. Where will the English Landing students watch the eclipse? The English Landing students and staff will watch the eclipse from approximately 12:55pm to 1:15pm on the playground black top. Our staff discussed the option of encouraging students to bring a towel or small blanket, however, felt this wasn’t necessary as our students won’t be outside any longer than they are for outdoor recess each day. Helpful Link for solar eclipse times in Missouri: http://www.eclipse2017.org/2017/states/MO.htm Parkville: Estimated Totality at 1:07 (53)pm Totality expected to last for 1 minute and 16 seconds. How are you making sure this event is tied to learning? Each grade level has developed lesson plans incorporating the Park Hill School District Solar Eclipse Guide – K-5. 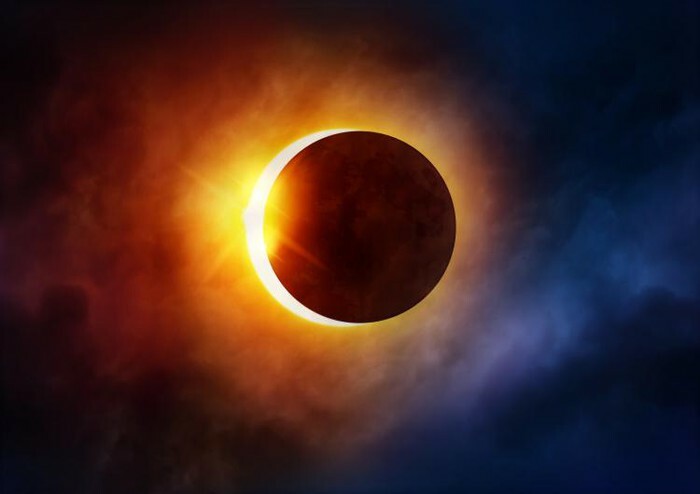 Every grade level will spend time prior to the Solar Eclipse viewing teaching lessons designed to provide students with safety procedures as well as background knowledge to create a better understanding of this special event. What about recess at English Landing on Monday? Recesses that occur between 11:30am and 2:45pm will take place inside on Monday, August 21, 2017. During that timeframe, the sun may not be painful to look at (the natural deterrent that helps us take care of our eyes), but will still be powerful enough to damage one’s unprotected eyes. What if a parent does not want his/her child to participate in watching the solar eclipse at school? We sent home a Solar Eclipse Opt-Out form with each English Landing student on August 16, 2017. Parents who do not want their children to participate must return this Solar Eclipse Opt-Out form. Otherwise, all of our English Landing students will participate in the activities – including watching the solar eclipse – the grade level has planned. What if I want to watch the solar eclipse with my child/children? Some families have already expressed they want to experience the solar eclipse with their children and are making plans to pick them up from English Landing early that day. If you are planning to watch the solar eclipse with your child/children, please pick them up from English Landing before 12:30pm. This will allow time for the remaining students and staff members to get into place and review safety procedures one last time before viewing the solar eclipse. English Landing and all elementary schools in Park Hill encourage guests and parent volunteers, however, given that this event requires special logistics to ensure viewing the solar eclipse safely, elementary schools in Park Hill will not host parent or family volunteers on Monday, August 21, 2017 between 12:30pm to 2:45pm. Only English Landing school personnel will be viewing the solar eclipse with students on the playground blacktop. What will the students do if their parent completes a Park Hill Opt-Out form? Students who return a Solar Eclipse Opt-Out form will remain in the English Landing GYM with designated staff during the solar eclipse experience. We plan to show these students the solar eclipse experience virtually. 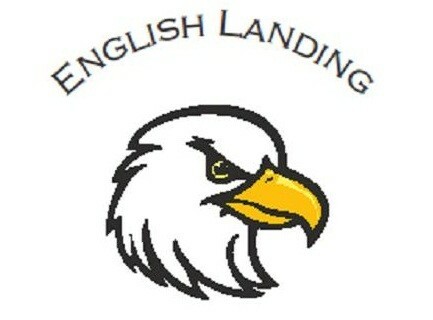 The next English Landing PTA meeting is scheduled for Monday, August 28th at 6:30pm in the English Landing Media Center. Thanks to the English Landing PTA for helping us start another wonderful school year at English Landing. Partnered with Platte Valley Bank to offer Hot Dogs/Water/Chips at Back to School Night! Purchased all of our English Landing Lanyards for our student badges! Provided the EL staff with a sandwich meal prior to Back to School Night! Provided the EL staff with a continental breakfast on their official first day back from summer! Purchased additional black folding chairs which will be used for Grade Level Music Programs! Provide each student with a Birthday Book on his/her Birthday. Have YOU joined our English Landing PTA? Please consider doing this for the 2017-2018 school year. A PTA membership is $8.00 or a Business membership is $50.00. We Need YOU to fill PTA Committee Chair Vacancies! We are looking for volunteers to fill the following three Committee Chair Positions for the 2017-2018 School Year. Please contact our PTA President, Chris Albani, if you are interested in a position or have questions. 2017-2018 Yearbook Committee Chair..Perfect for anyone who is familiar with Shutterfly because Life Touch is just as easy to use! 2017-2018 Staff Appreciation Week Committee Chair...Perfect for someone who wants to contribute to our Eagle Family but won't have time until May (Staff appreciation week is in May). Please contact our PTA President, Chris Albani, if you are interested in a position or have questions. At English Landing we have a school supply SHOP where we provide school supplies to students who join our school community and need school supplies. 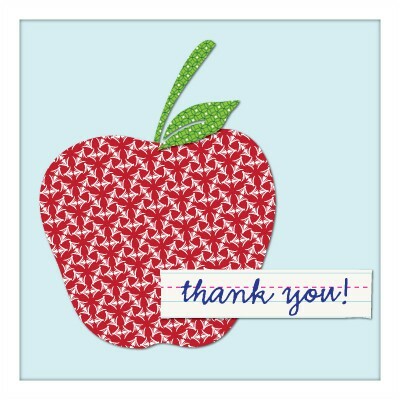 This has been a busy week for our school supply SHOP! 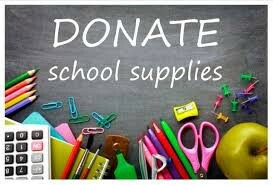 If you would like to donate any of these school supplies, please bring the items to the English Landing School Office or send the donated supplies to school with your child. Our English Landing school community is always so generous and we are PROUD to provide school supplies for ALL students who needed this assistance. Thank you! A special event or program at a school might be covered by a newspaper or television station, resulting in student interviews and pictures. Award-winning students might have their names and photos published in a local newspaper, a school newsletter, the districts “First Hand” e-newsletter, the districts “Park Hill Connection” newsletter or on Park Hill TV-Channel 18. The district or school might post pictures of school activities on webpages and social media. If you do not want your child’s image or information used, please contact the English Landing office at 359-4370 to complete a Park Hill School District Image/Contact Information Opt-Out Form. *This form is also available on the English Landing School website under Parent Resources. In most cases, parents/guardians are allowed to visit school and eat lunch with their child. The school, however, reserves the right to limit lunch visits in appropriate circumstances. Parents/guardians planning to eat lunch with their child should notify the school office one day in advance. Bringing outside restaurant food is strongly discouraged. At English Landing, we want all students to have similar experiences. If parents or family members want to join their child for lunch they are encouraged to eat school lunch or bring a sack lunch from home. If parents or family members choose to bring restaurant food to English Landing, which is strongly discouraged in the Park Hill handbook, then a private dining location will be arranged. To protect the health and safety of our children, students may bring pre-packaged treats to school to share with classmates in recognition of birthdays and other celebrations. In order to address any known allergy concerns, a label listing ingredients should be affixed to the package. Homemade treats will not be distributed to students. Due to allergies and other food intolerances, please consult with your classroom teacher before the pre-packaged treats are brought to school. As a healthier alternative, Park Hill Food Service offers a variety of nutritious treats that may be purchased.If you are interested in this service, please contact your school’s food service manager. Party invitations are only to be brought to school if they are distributed to the entire class. 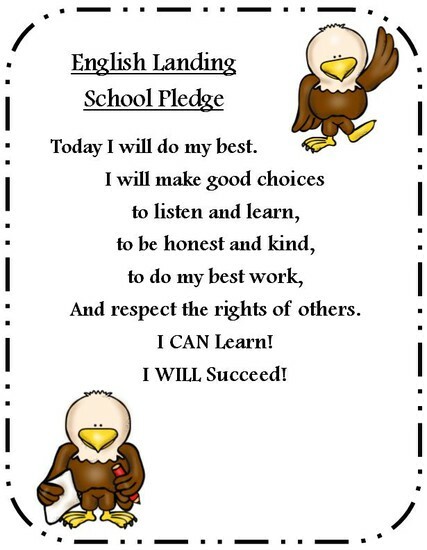 Every student will be recognized quarterly for demonstrating their ability to SOAR (Safety First, Owning Actions, Attitude Matters, and Respect Everyone) to build intrinsic motivation in an area of improvement. 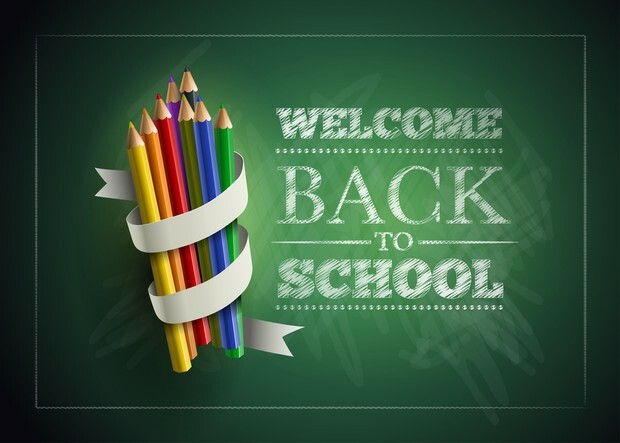 Quarter 1 - SOARing Eagle on classroom door, Quarter 2 - Eagle SOAR dog tag, Quarter 3 - SOAR with student pictures, and Quarter 4 - $1 SOAR Buck to the school store. A yearly publication will be updated which outlines ways students are recognized at English Landing (Academic, Classroom, Behavior, Birthday, and Annual Recognitions) throughout the school year. 100% of monthly STEM challenges will provide a “5 E’s Flowchart” to guide student learning through the engage, explore, explain, elaborate, and evaluate steps to promote problem-solving, critical thinking and collaboration. The Eagles Events Team will coordinate school-wide events involving students, families, and staff to enhance climate by increasing family involvement. Career share promotes families joining English Landing classrooms during the school year to share how adults apply academic learning into daily work. Students will feel special during the day of the visit by wearing an “Ask me about my career share guest today?” sticker. In addition, a culminating celebration will occur at the end of the school year to thank our guests for sharing about their careers with a morning donut celebration in the classroom. Provide quarterly professional development at grade level meetings sharing classroom examples on the outcomes on each Continuous Improvement Classroom Level on the Adult Learning Framework: Pre-Kindergarten & Elementary to assist teachers in meeting their individual goal of increasing to the next CI Classroom Level. Each teacher will create a PDP that will focus on the components of the Continuous Improvement Classroom Level on the Adult Learning Framework: Pre-Kindergarten & Elementary to assist teachers to meet their individual goal of increasing to the next CI Classroom Level. Through the coordination of curricula between Reading Specialists, ELL, Special Education, and classroom teachers, Tier 2 and Tier 3 students will receive support in the regular classroom setting as Response to Intervention. Students will receive Guided Reading instruction for Response to Intervention using a common curriculum and academic vocabulary. In this setting, each “on watch”, Tier 2, and Tier 3 student move from one level to the next by achieving a SMART goal based on the pre-determined skills from the skill bank associated with individual reading levels. Every English Landing classroom will develop a quarterly academic SMART Goal for tier 1 students that aligns with a Math or Communication Arts learning topic deficit. Monthly home learning will provide support toward the academic SMART goal. Teachers will be able to answer the questions: How do I know this SMART Goal is needed? How do I know having this SMART Goal made a positive learning impact with my students? Students will write an “I can” statement describing one way they can be a “Digital Age Learner” based on the new ISTE Student Grade Level Standards (Digital Citizen - K-5th; Technology Operations - K-2nd; Creative Communicator - 3rd; Knowledge Constructor - 4th; Empowered Learner & Global Collaborator - 5th grade. Based on the 2016-17 English Landing Olweus Survey Exclusion Results (baseline results showed that boys and girls both had a survey result of exclusion of 9%), classroom teachers will conduct monthly class meetings focusing on the purpose of the buddy bench as a means to include students at recess. Based on the 2016-17 English Landing Olweus Survey Exclusion Results (baseline results showed that boys and girls both had a survey result of exclusion of 9%), the English Landing Safety Team will monitor the results of the 2017-18 Olweus Survey to determine the impact of the “Buddy Bench” as an inclusionary means at recess. During the 2017-2018 school year, all English Landing teachers, as a result of the quarterly classroom climate survey, will have a Classroom Storyboard on display outside the classroom to communicate the classroom’s focus on enhancing classroom climate. Monthly meetings with support staff to review building and district initiatives and goals. Each classified staff member will create an individual goal aligned with the BSIP or BSC Indicators (safe, welcoming, and caring environment or student centered learning) to create an innovative idea or improvement to their specific role.